Ever stumbled across the blog Science fare? If not make sure to add it to your RSS feed. 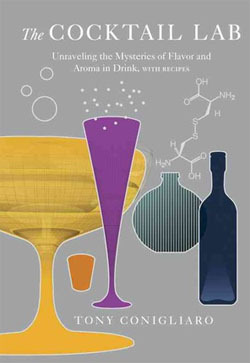 One of its authors, Kevin Liu has been working on a the project for a while – and here’s the results – a complete book on cocktails! Think of it as Jeff Potter’s Cooking for geeks applied to cocktails. 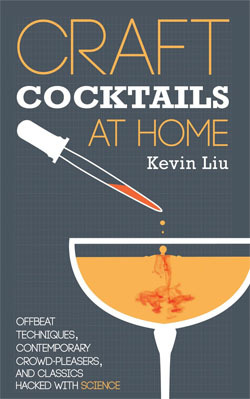 Where Kevin Liu’s book on cocktails is of the type “scientist ventures into cocktails”, Tony’s book is more of the opposite: “bartender ventures into science”. Tony Conigliaro has established himself as one of the most innovative mixologists in the world. He works at 69 Colebrook Row and blog about his experiments at Drink Factory. Highly recommended! 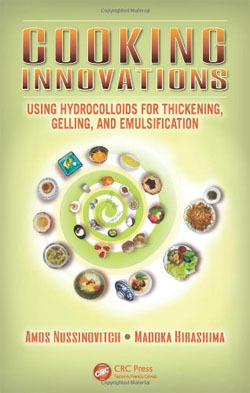 Written by two scientists in the field, this is a comprehensive introduction to all the common hydrocolloids used in modern cooking. 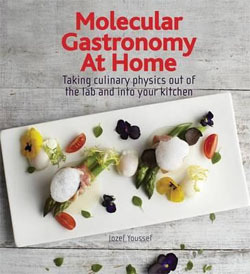 It’s not a book you buy only for the recipes (frankly speaking there are probably more recipes in Texture), but it’s a book you get for a thorough introduction to the history, properties, correct use and some of the science behind the hydrocolloids. 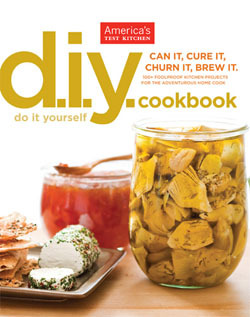 If you cook professionally with hydrocolloids you should certainly get this book. 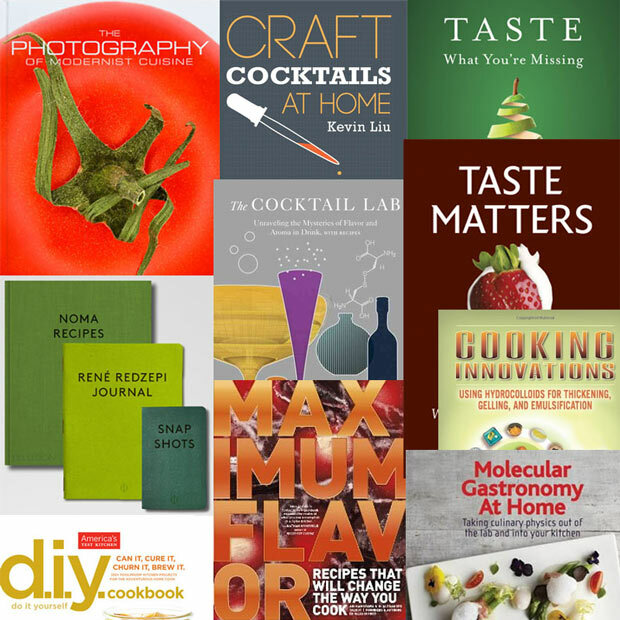 Authors of the creative blog Ideas in food and the book with the same named (my review here) are out with a new book addressed at home cooks. This one is certainly on my wish-list! Noma has claimed the no. 1 spot on World’s best restaurants list 3 years in a row. I was lucky to eat there in 2012 (thanks to a fellow food blogger who “won” a table in the table reservation lottery). 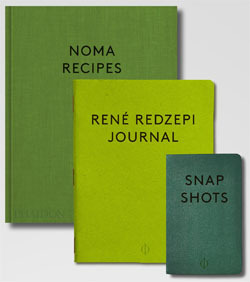 I decided not to blog about it (because there would be no way I could capture the experience in a blog post), but it’s still my most amazing eating experience ever – and I’m sure the glimpse into how René works (as the publisher promises) is worth reading. I’m looking forward to getting my hands on these books! 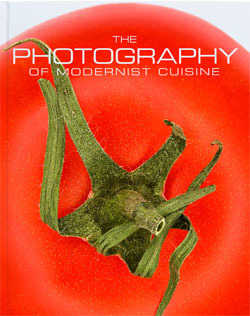 If you enjoyed the superb photographs of Modernist Cuisine or Modernist Cuisine at home, and wonder how they did it – well, then this book is for you. If you were simply amazed by the photographs, I’m quite sure you’ll still enjoy the book. A short introduction to a range of different techniques associated with molecular gastronomy: use of hydrocolloids and transglutaminase, umami, playing with liquid nitrogen, carbonating grapes, sous-vide, dehydration, smoking, centrifuges and food pairing. 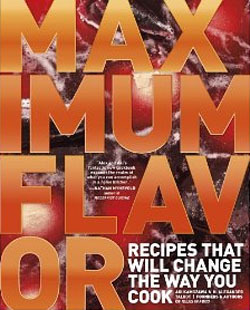 The book is written by a well-known chef and focuses on what is important for avid home cooks. If you have followed the field for a while you may very well also have stumbled across his blog/website Kitchen theory. 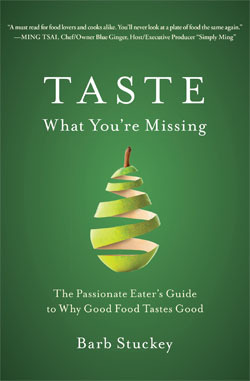 The publisher claims the book will “demystify the science of taste” and that Barb Stuckey does for the science of taste what Harold McGee did for the science of cooking. The published notes suggest she has covered a good portion of portion of the primary academic literature. Sounds interesting to me! 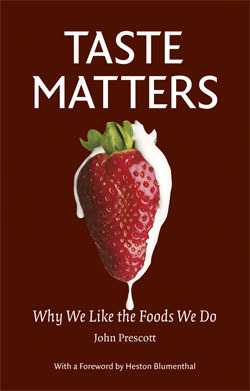 Why do we like the foods we do? What happens when our eating is not related to survival, but is more about sensory pleasure? With a background as a professor of psychology and sensory science John Prescott provides scientific explanations for a lay audience. Any books you think I missed? Let me know by dropping a comment or a tweet to @tastymolecules.